Call Us For A FREE Quote? GCI Turf Services has been serving the Piedmont Triad for 12 years strong. We offer full-service grounds maintenance to both residential and commercial properties. We can also serve those of you who prefer to cut your own grass with our We Grow You Mow fertilization/weed control service. Please contact us today for a free quote and consultation. Every home needs a solid foundation and the same is true about your lawn. We focus from the roots up, because true high quality lawn care maintenance and service runs deeper than the surface. We Grow You Mow was designed to give the mowing home owner or landscaper the lawn they’ve always wanted. Our standard 7 step program includes all the nutrients and broad leaf weed control your lawn requires. 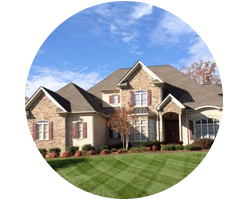 We are one of the few landscape companies in the Triad that are equipped to offer this service with effectiveness. 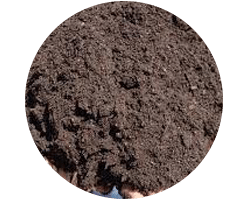 Compost topdressing is when a layer of pure organic compost is spread over top of an area. Boss snow plows are our choice for efficiency. 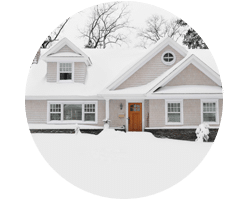 We are equipped to handle all your plowing and pre/post salting needs to insure your safety. Q – What height should I cut my tall fescue at? A – 3.5 – 4.0 inches tall but 4 – 4.5 inches tall is best. 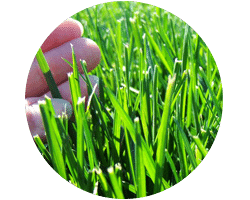 Q – How important is Fall aeration & seeding in a tall fescue lawn? A – It is the single most important thing that is done all year. Q – Should I mow my tall fescue every week during the hot summer? Q – Are weed controls/herbicides a permanent solution for weeds in my lawn? A – NO. They are not. There are no “permanent” solutions to weed control, but, a strong lawn care program will keep them controlled.